Got any health issues or long-standing kinks and aches to sort out? Or just looking for an R&R place to stay at, get pampered and emerge rejuvenated and ready to face the city and work again? 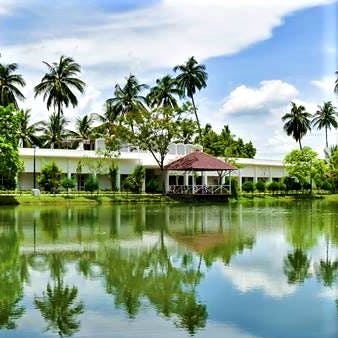 Head out to the Nature Cure & Yoga Centre in Joka, just a few kilometres away from Kolkata. Enter the complex just off the main road and you get cocooned in dense foliage, bird call and quiet. The simple white buildings house large, comfy rooms around a garden. Guests begin their day at the Ayurvedic wellness retreat with sunrise yoga classes, and follow up with massages as part of the treatment prescribed by a doctor. Got back issues due to heavy workloads sitting in front of your desk all day long? They’ll teach you some simple yoga routines to help with your backache and spondilitis. Their treatments are based on principles of the panch mahabhuta, with each treatment addressing an aspect of the human body which is congested, depleted or otherwise unbalanced. They use mud baths, hip baths, spinal sprays, reflexology, diet and more to balance out your body. It’s not all just about health issues, they do excellent massages (even an indulgent chocolate one) for INR 1,000 onward. You’ll come out relaxed and loose-limbed. The fees are affordable – rooms start from INR 1,700 for a non AC single and INR 3,500 for an AC double. You can walk in for a single day’s treatment or stay for some days to get your health issues sorted.